istit and experience the beutiful Prunus Mume, deciduous Magnolias, and more at Peckerwood Garden. Open Days are held every 4th Saturday of the year. We will also be open on the Second and the Fourth Saturday of March, April, and May. Open day tours head into the garden approximately every half hour, as they fill. Knowledgeable docents will tell you about the garden's history, what we are doing now, and what we plan for in the future, and they will highlight plants and changes both by season and by their own taste. Each tour is unique as the changes in the garden each week change what is highlighted and each docent has their own focus and knowledge base. 10:00 am to 3:00 pm, final tour leaves at 2:00 pm. Visitors enjoy 1-hour guided tours of the garden led by knowledgeable docents, exploring key collections. Seasonal highlights are featured and there is the opportunity to purchase many of the plants from the garden at our nursery on Open Days. Parking and plant sale admission is free. 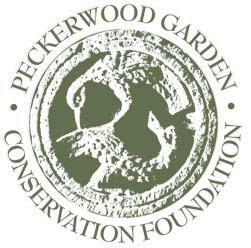 Peckerwood Garden Open Day hours are 10:00-3:00 pm. Garden entry is by guided tour only. Guided tours are offered approximately every 1/2 hour from 10 am and 2 pm. Open Day tour fee is $10 per person.